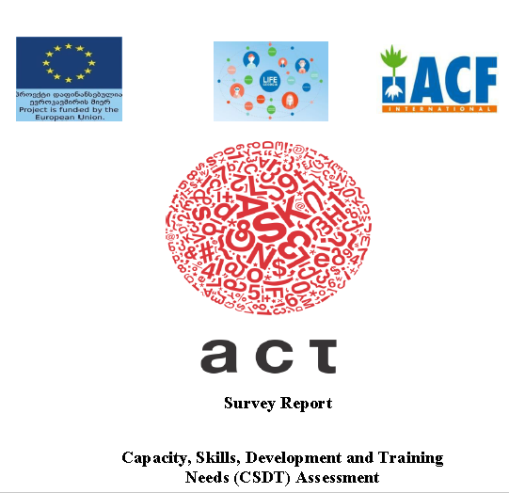 "Capacity, Skills, Development and Training Needs (CSDT) Assessment Survey Report." Produced by ACT, funded by the EU, July 2015. This research evaluated the requirements for development of knowledge and skills in the locations of IDP and among local residents. "Mapping and Analysis of Livelihood Support Programmes, Providers and Mechanisms." Produced by ACT for the Danish Refugee Council and Charity Humanitarian Center “Abkhazeti”, funded by the EU, September-October 2015. 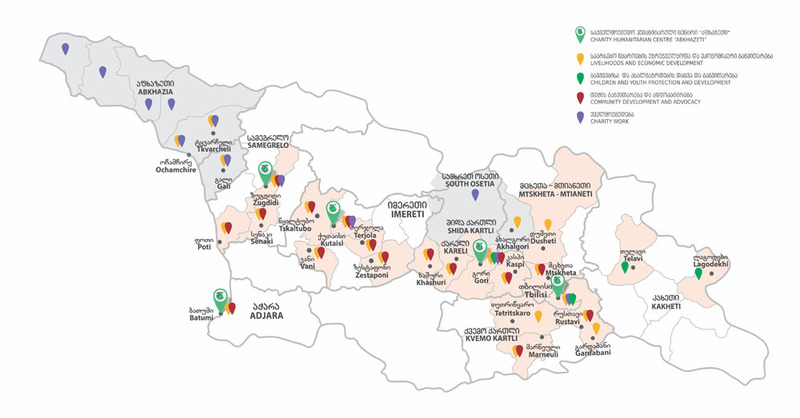 This report compiles the results of a study on IDP livelihoods conducted as part of the project, From Dependancy to Self-Sufficiency: Innovative, effective and scalable livelihood solutions for Georgia. "Research on Economic Potential and Opportunities in IDP and Host Communities in Adjara, Samegrelo and Imereti Regions." Produced by ACT Research For Danish Refugee Council and Charity Humanitarian Centre “Abkhazeti”, funded by the EU, November, 2015. This report contains research and analysis on livelihood barriers and opportunities of IDPs and other vulnerable groups, as well as an analysis and evaluation of the current and potential human capital as well as business and investment environments in and around specified IDP settlement areas.